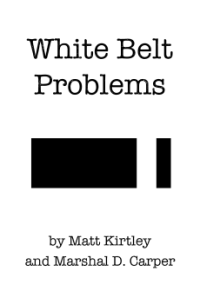 Home » Starting BJJ » How many times per week should I train Brazilian Jiu-Jitsu as a white belt? How many times per week should I train Brazilian Jiu-Jitsu as a white belt? How much you train BJJ will depend on how well you can balance your life, schedule your time, and how well your body holds up to the rigors training. Once – Progress will be slow, you won’t get in shape from BJJ alone, and classes will feel disconnected. This can be OK once you have experience and want to take it easy for a while. Twice – You will gradually get better, but lessons will still be feel disconnected unless your school follows a good curriculum from week to week. Three – Three times per week is a sweet spot for most people, giving them a chance to get in a steady rhythm of training while still having days off to rest and manage their normal life. Four – This is where you start getting serious. You will need to be better disciplined with your rest and diet and managing the rest of your life, but it will be very rewarding for your BJJ. Five or more – You’re getting serious! You can expect to improve quickly, but you also need to be very careful about overtraining and getting injured. This is what you need to be doing if you want to compete and earn your belts quickly. If you are young and have no real responsibilities, make everyone else jealous by training as much as you can! Don’t slack in the rest of your life, and go to college and get that big job or whatever your long term goals are, but don’t miss the chance to train a lot while you are young, healthy and carefree! For the rest of us bitter responsible adults, you’ll need to plan around work and family duties. You may get friction from your spouse if you disappear to the BJJ gym every night, but I’ll leave it to you to sort out your marital disputes. I recommend beginners aim at 2-3 classes per week until your body can handle it, then try to push up into 3-5. Thanks for the website! Very helpful!